With mining profits diminishing lately it is always a good idea to be on a lookout for new and profitable coins to mine, regardless if you are using GPUs or ASIC miners. So you might want to give the Coin Claculators service a try and see if you can find something new and interesting. It tracks close to 300 crypto coins and can mining profitability calculators available for GPU miners with presets for the hashrate for the more common AMD and Nvidia GPUs as well as ASIC miners with presets for S9, L3+ and D3. You can of course also set your own hashrates for each algorithm, so you are not limited only to the presets available, though they help for a quick check. 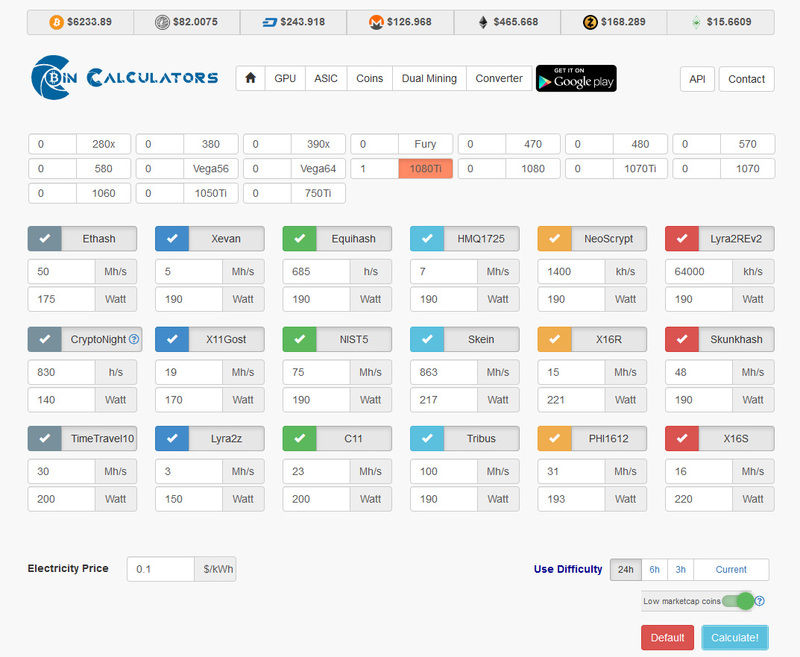 There is also a Dual Mining profit calculator, however it is a bit limited in functionality. There are also individual mining profitability calculators available for the supported coins for when you are not looking what is most profitable to be mined. There is also a mobile app available for Android on the Google play store (no iOS for now), so you might check it out as well if interested.